Hi everyone! I'm up over on Lori Whitlock's blog today with a new link up party. The theme this time is "gift giving". 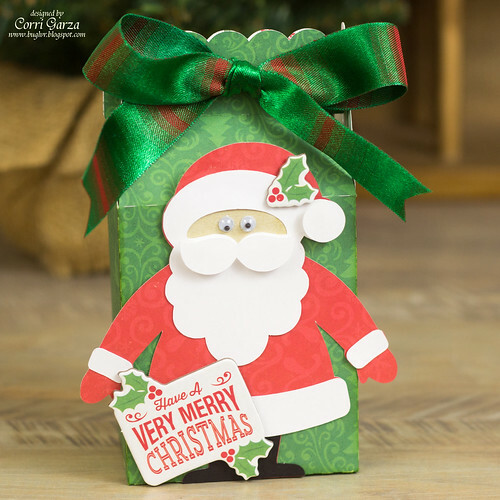 You can link up any gift idea made with files from Lori Whitlock for a chance to win a gift card to her store. I made this cute Santa Claus Gift Bag with paper from the Echo Park - Christmas Cheer Collection. I added some google eyes and a few chip board stickers. This is a nice sized bag that could be filled with candy, a small gift or a gift card. Lori recently added several fun gift items to the shop. These would be great to make and have around when you need a last minute gift. These are some of my favorites. Head on over to Lori's blog to join in on our fun Link Up.